At Nutcracker,�we merge creative marketing and business development to bring out the best in our clients. We specialise in content marketing, digital campaigns and transformation strategy. If you want to join a thriving marketing agency with big potential, then apply now. 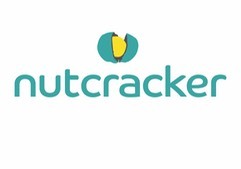 Nutcracker are looking for an experienced Account Manager to join the team at our office near Sutton station. �This exciting role will work across multiple client accounts. Full time/part-time role, minimum 3 days per week,�is available for the right candidate. �An agency or media background is an advantage. We are looking for an experienced Content Writer to join the team at our office near Sutton station. �This exciting role will work across multiple client accounts. Full time/part-time role, minimum 3 days per week,�is available for the right candidate. �Please provide 3 examples of written work when applying.